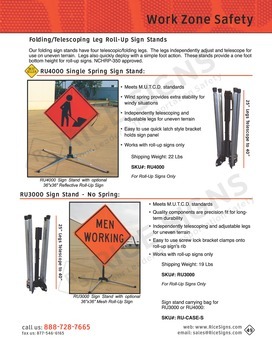 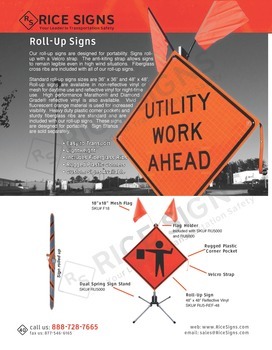 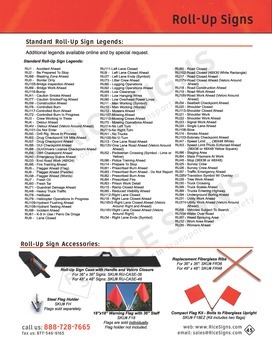 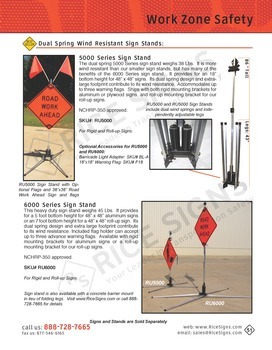 Rice Signs manufactures custom roll-up constructions signs with your desired wording. 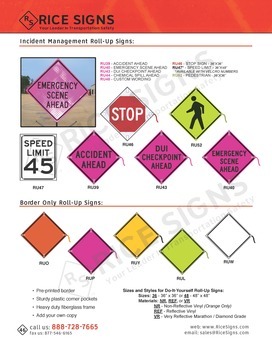 We offer orange mesh roll-up custom signs, and white, yellow, lime, and pink roll-up sign styles. 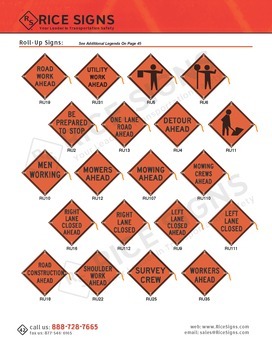 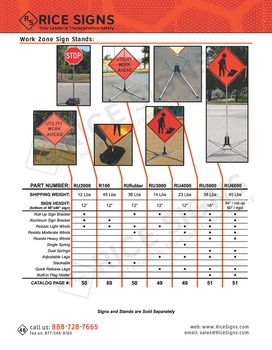 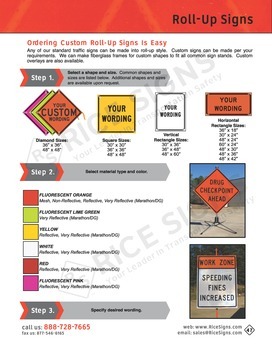 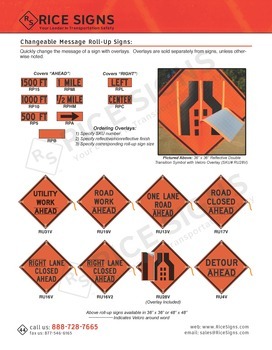 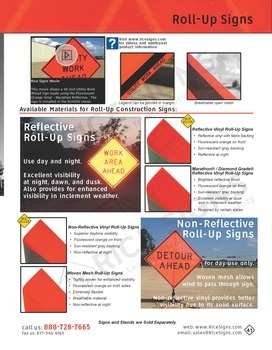 These roll-up construction signs can be customized with your wording. 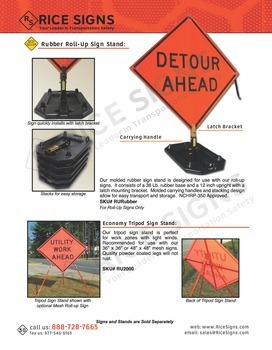 Our mesh and roll-up signs are made ASAP so you receive them quickly.